Lock in a great price for Gili Lankanfushi Maldives – rated 9.7 by recent guests! The resort was very well managed, they make difficult things very easy for you. I had a very memorable experience here. I loved everything! 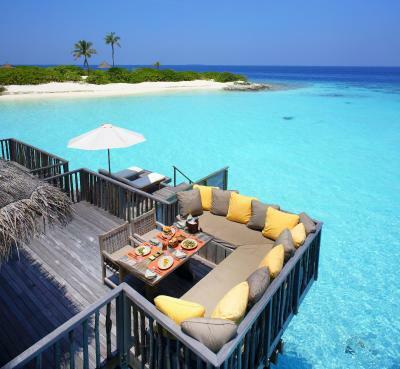 The resort is only a short speedboat trip away from Male. The villa suites are incredible but the best thing about the resort is the staff! They go out of their way to make you feel special. Everything was amazing! Beyond our expectations! The staff were very friendly and helpful everywhere we went. The resort itself was beautiful and very well maintained. We had the most amazing holiday and will definitely be back! Absolutely everything....amazing place ...Paradise has a name ...Many many thanks to Nana ...one of the best butler we have ever meet . A spot in the World there is just perfekt ... just lige a Dream.. thanks to all staf for a perfekt stay . Our stay was very smooth and enjoyable. 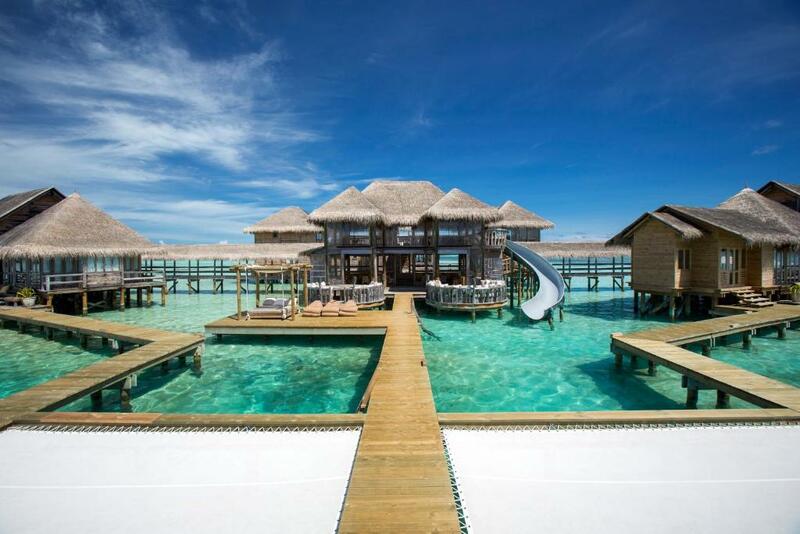 The design of the overwater villas was incredible and the range of activities available was really good which left us with no dull moment. The over water bar and the Japanese restaurant had excellent food. Needless to stay that everyone on the staff team was immensely helpful and friendly and I would like to emphasise on this point as it made our stay great. There are complimentary water sports and snorkelling kit. Also everything we requested was delivered quickly and in top condition. The resort itself is beautiful and we enjoyed the views from every corner. Also he transport from and to the hotel was made really easy. Sabía que iba a ser muy bueno, pero fue excepcional. Teníamos una casa overwater, muy bien cuidada, con todo, perfecta. La comida es otro de los atractivos, muy por encima de la media de cualquier hotel. Sin duda para repetir. 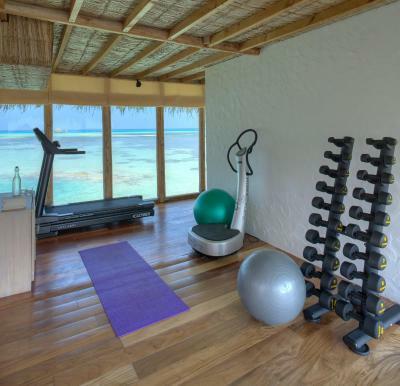 Gili Lankanfushi Maldives This rating is a reflection of how the property compares to the industry standard when it comes to price, facilities and services available. It's based on a self-evaluation by the property. Use this rating to help choose your stay! 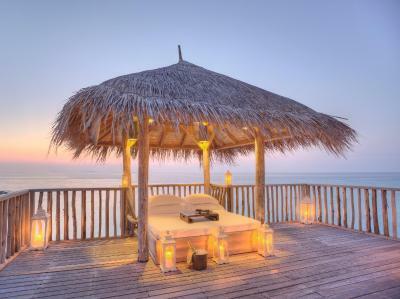 Perched over the Indian Ocean, Gili Lankanfushi offers closeness to sun and sea with its luxurious accommodations. Aside from free Wi-Fi, it also has an ocean-view outdoor pool and relaxing spa. Featuring private sun decks and a water garden, each eco-friendly residence is equipped with a cable/satellite TV, DVD player and BOSE surround-sound system. An espresso machine and mini-bar are also included. 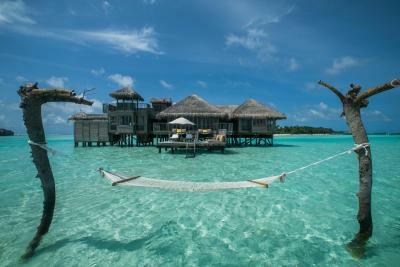 When would you like to stay at Gili Lankanfushi Maldives? 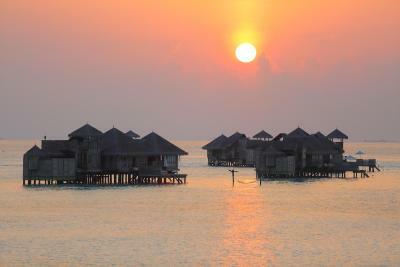 Spacious water villa with a kitchenette and rooftop sun deck with daybed. 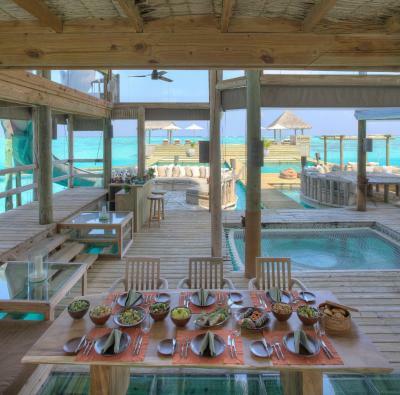 This peaceful stand-alone villa features a kitchenette and a floating sun deck. Includes a private boat shuttle to the main-island. 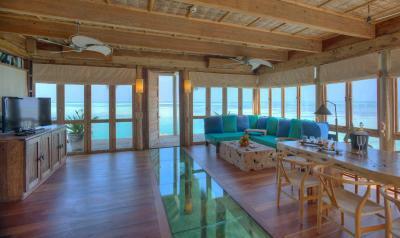 A spacious and luxurious 5577 ft² villa nestled in the middle of the blue lagoon. 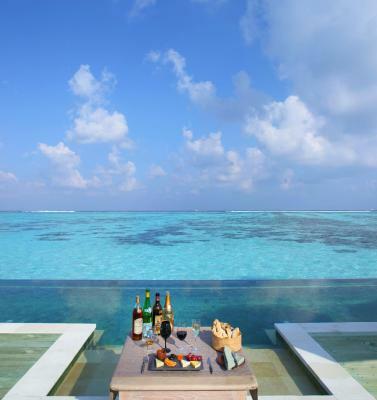 It offers 360-degree views of the Indian Ocean. 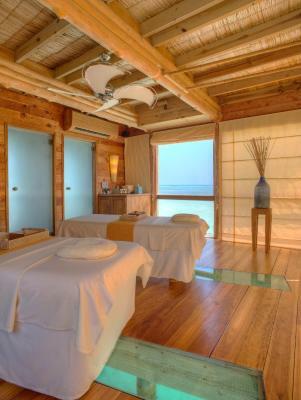 The 5-unit building is designed in a rustic chic style and sits 1640 feet from Gili Lankanfushi. It has a large central open-plan living area with a sea garden, water slide, private swimming pool, natural coral pool, sun decks, a cozy dining area, and a unique open-air bathroom. This double room features a sofa, DVD player and seating area. The room has access to a courtyard with a hammock for the benefit of the guests. 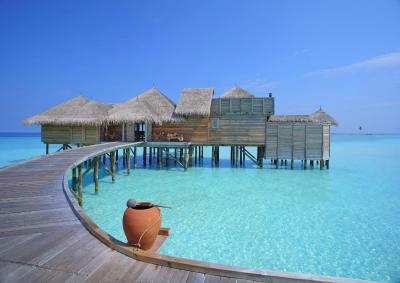 This double room is located at the end of the jetty and is extended into the sea. It has a balcony, seating area and air conditioning. The room has access to a courtyard with a hammock for the benefit of the guests. A sanctuary hidden from the world. 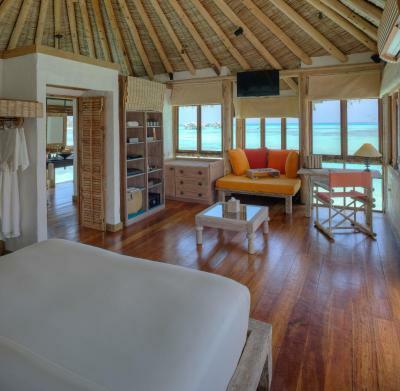 House Rules Gili Lankanfushi Maldives takes special requests – add in the next step! 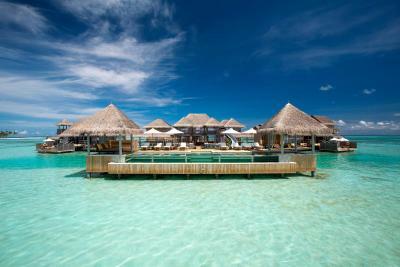 Gili Lankanfushi Maldives accepts these cards and reserves the right to temporarily hold an amount prior to arrival. Please note that in case of cancelation, refund will be done after deducting the bank charges. This is applicable only for bookings released before cancelation period. 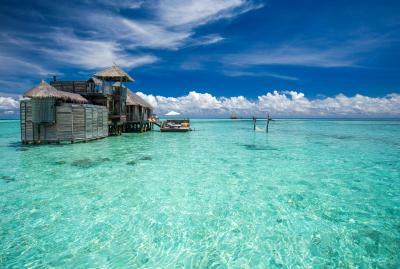 Please inform Gili Lankanfushi Maldives of your expected arrival time in advance. You can use the Special Requests box when booking, or contact the property directly using the contact details in your confirmation. Cost of alcohol was astronomical . Being barefoot, service by waiters, I crowded. There is nothing bad about this place. It's paradise! Because we booked 2 villas, bur they didn’t arrange next to each other. The smell of the toiletries were amazing!